Welcome to the SongwriterUniverse Music Store. 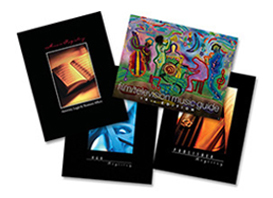 We are pleased to sell the best, most popular resource books, which are highly useful for songwriters, artists, music publishers, and other industry pros. These books will help connect you with the top creative people in the music business, including record labels, publishers, music supervisors, booking agents, concert promoters, and music attorneys. 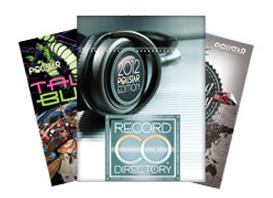 We sell the Music Business Registry directories, the Pollstar directories, and the Indie Bible resource book. Music Business Registry publishes the best-selling, most comprehensive directories of top industry executives. These directories provide detailed, up-to-date contact information on all of the A&R Executives, Music Publishing Executives, Film & Television Executives & Music Supervisors, and Music Business Attorneys & Business Affairs Executives. This is the definitive directory which lists all of the top A&R executives at the major labels and top independent labels. Practically every A&R exec in the United States (including Los Angeles, New York and Nashville), Canada and England is listed here. The entire A&R staffs of each label are listed, from the President and Senior Vice President down to the junior A&R scout. Their phone and fax numbers, the names of their assistants, their office addresses, and their e-mail addresses are all included. Importantly, it also lists the style of music each executive focuses on. Producers, publishers, songwriters, managers and attorneys rely on this directory to know whom to pitch their artists and songs to. 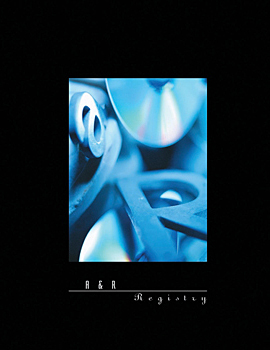 Importantly, the A&R Registry is now updated constantly with changes being made weekly, so the directory would be very fresh and current when you purchase it. 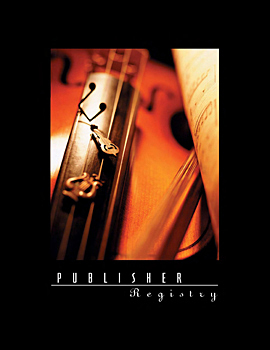 The Music Publishers Registry lists all of the major publishers as well as significant independent publishers in the United States (including Los Angeles, New York and Nashville), Canada and England. Not only are the creative/talent executives listed, but the Film & TV and International executives are also included. Their phone and fax numbers, the office addresses, the names of their assistants, and their e-mail addresses are all listed here. For anyone who wants to pitch their songs to a publisher, or to contact them for any other reason, this is the ideal directory. Importantly, the Music Publishers Registry is now updated constantly with changes being made weekly, so the directory would be very fresh and current when you purchase it. This directory is an extensive compilation which lists the many contacts that can get your music into film and television. It lists all of the movie studios, television network and independent production company music departments, all music supervisors, film composers and their agents, music clearance companies, music libraries, music editors, ASCAP, BMI, and SESAC film/TV divisions, scoring stages, and music preparation services. This is a highly useful book to pitch your songs for film, TV, trailers, commercials and video games. 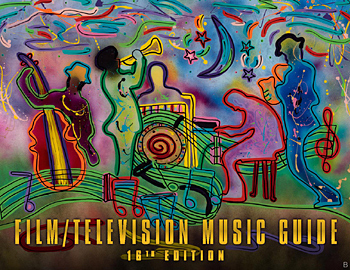 Importantly, the Film & TV Music Guide is now updated constantly with changes being made weekly, so this directory would be very fresh and current when you purchase it. 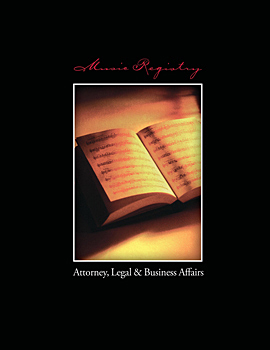 This directory lists all music business attorneys (including the services they provide), their assistant's names, phone and fax numbers, e-mail and websites. In addition, this directory includes all Legal and Business Affairs personnel at all of the record labels, music publishers, film studios and television network music departments. 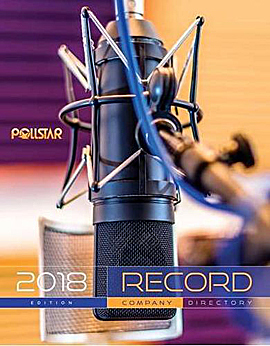 Pollstar publishes several, best'selling, comprehensive directories which contain valuable information and contacts. 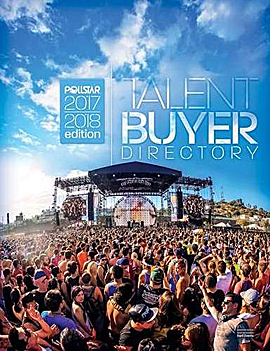 These directories provided detailed, current listings of all the top Record Label Executives, Booking Agents, Concert Promoters and Talent Buyers. This guide is indispensable to anyone accessing the complex recording industry. The listings for Major labels and Independent labels include detailed artist rosters, executive staff, personnel, direct phone numbers and fax numbers. The Record Company Rosters include Music Publishing info and contact information for Distribution Groups, complete with a helpful flow chart. 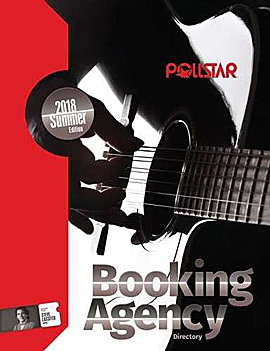 An invaluable reference tool used daily by Talent Buyers and Venues from club to arena level, the Booking Agency Directory is updated biannually and provides data on more than 600 agencies representing over 10,000 artists worldwide. This directory has current international contact information that serious competitors in our global marketplace demand. Separate International booking agency rosters and index. 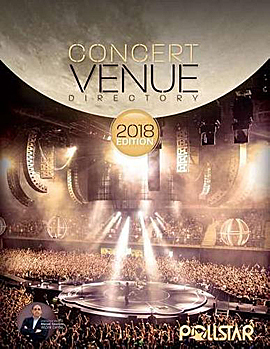 This directory lists every major concert promoter, nightclub, small venue, college, casino, festival, fair and theme park that books touring artists. This is an important book to have if you perform live or tour. The Indie Bible is a respected, resource guide (now in PDF form only) which is edited by David Wimble. It is a valuable book for indie musicians, featuring massive listings of radio stations, music review publications, CD vendors/promoters, MP3 sites, and other resources. The Indie Bible shows you where to get your music reviewed, your songs played, and your CDs sold. 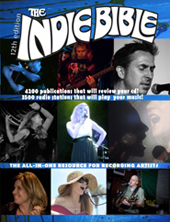 The Indie Bible has 316 pages of valuable contacts and music-related articles. From the creators of The Indie Bible, comes The Indie Venue Bible - a unique, comprehensive directory of live music venues. It is in electronic (.pdf) format and lists 26,000 venues and 2000 booking agents in the U.S. and Canada. The listings are arranged by area, making it easier for you to route and plan your tour. 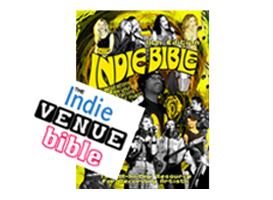 The Indie Venue Bible lists the obvious venues that you can find in any venue directory. What sets it apart from the others is lesser known venues that you won't find listed anywhere else. You'll find thousands of coffee shops, restaurants, house concerts, theaters, clubs, halls, churches and book stores - any place you can land a gig! There are also thousands of wonderful venues listed in smaller towns that have been ignored by the mainstream venue directories. For example, there are listings for over 300 cities and towns in New York State alone. And to make your life easier, the Indie Venue Bible has painstakingly researched which genres of music each of these venues feature. The Indie Venue Bible is sold in separate PDF directories by region. The directories are available for the following regions: U.S. Northeast, U.S. Southeast, U.S. North Central, U.S. South Central, U.S. Northwest, U.S. Southwest and Canada.